Fortnight on the Internets is rewriting the American Ninja Warrior history books! On this episode, we’re joined by Zena Barakat of the New York Times’ Modern Love video series; we celebrate the Youtube works of LA’s Hottest Bartender; and we hail the triumph of Weird Al. This was a straight-A fortnight! The funnyman scores his first #1 album at the age of fifty-something, defying all logic to crush the charts with a long-percolating ALBUM in the age of one-off singles and instant Youtube parodies. This powerful lady captured the hearts of the Internet with her unbelievable conquest of America’s favorite summertime obstacle course. The ridiculous announcers (Matt Iseman and Akbar Gbaja-Biamila) are amazing on this. The New York Post article turned out to be entirely inaccurate, but the real story is even better than the myth. Also, this video is amazing. The second verse has some of the best pop-culture refs in the west. 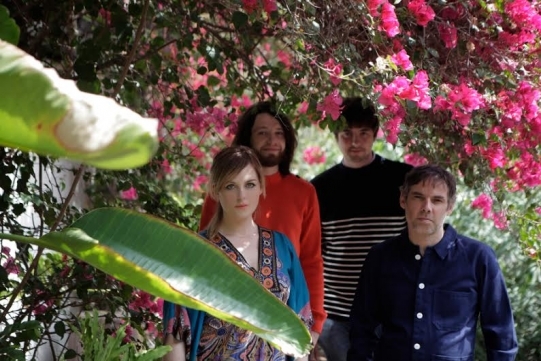 An amazing band led by Guto Pryce (Super Furry Animals) on bass and Lindsey Leven on vocals, with Gid Goundrey providing guitar and Gwion Llewelyn on drums. They bring together the best of California dream-pop and Welsh weirdness. Their new album, Season Sun, is a must have for summer 2014. If you enjoyed what you heard, and obviously you did or you’re dim, Like ’em on Facebook. Also, they are touring the UK this fall, so get out and see ’em, UK Likers! There are dozens more, including a wide selection of gross shots you would never want to drink, but there’s something about JaNee’s magical manner that makes them eminently watchable. For a better source of cocktail magic, check out The Savory. Here’s a playlist of all the Modern Love videos. Zena tells us about how she got the idea to turn one of the paper’s most popular print series into an animated video spinoff, the challenges she faced along the way, the process of creating the videos, and what she’s learned about love along the way. It’s an amazing interview not to be missed! #5. Liker Neil C. took us back to grade school laughs with his post about a British Inventor who has spent good time and money aiming the world’s largest farting machine at France’s shoreline, in maybe the most expensive and oddest salute to Monty Python humor ever. #3. Kissing Contest Podcast (Likers Doan and Mike D.) made sure we didn’t miss a very funny redub of the hyper viral 50 SHADES OF GREY teaser trailer by a talented foley artiste whose insertion of grunts, hmmms and other nonverbal expressions beautifully get to the heart of the film’s tone and content. It also ends on the most impressive Beyonce imitation we’ve ever heard! Thanks all, and WE STILL COMING in two weeks! Thanks to Nathan Walker and Annie Ostrowski for musical assistance.